1 Spray the olive oil on two large baking trays 3 times on each covered in foil then place the plantain on the baking tray. 2 Spray again with 3 sprays each of the olive oil and place in a preheated oven on 220c/450f/gas 8 for 15 mins, turning once or until it is golden in colour. 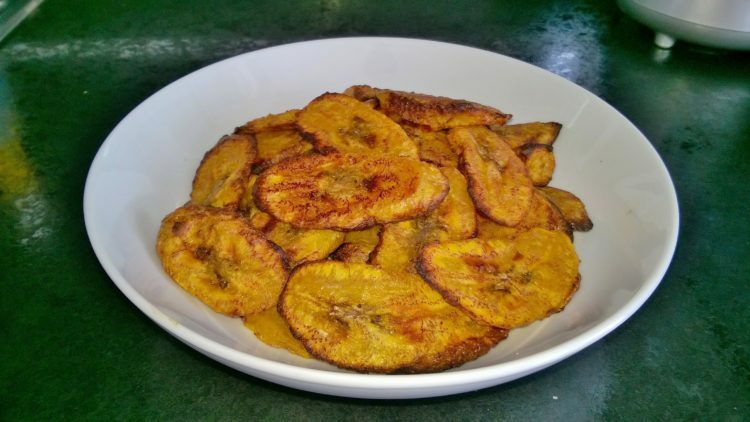 Tip: Traditional you would fry the plantain in 2-3 tbsp of oil, my recipe is a healthier option.